Karina's Kreations: Online Extravaganza starts today!!! The online extravaganza starts today!!! Place your order online or email me at kchin2@telus.net to place your order. There are three items on sale today only!!! 1) # 125586 The Diagonal score plate is 20% off . Sale price is $12.76. 3) #113474 Big Shot Doctor's Bag is 20% off. Sale Price is $75.16. Click here to get the list of sale items! 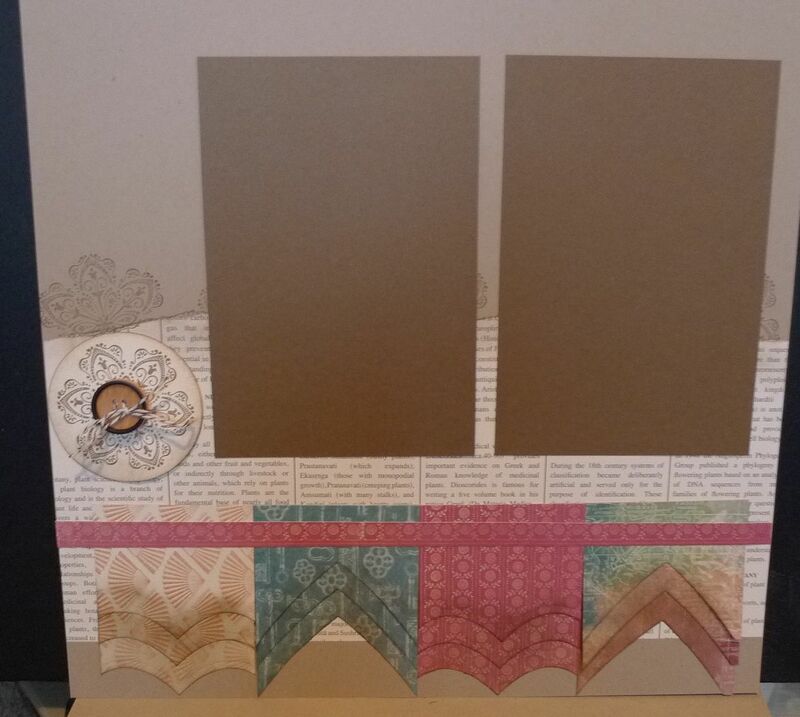 If you already own the Big Shot, you can make this cute scrapbook page. It was designed by Mandy Grant. The Hearts Collection framelits dies were used to make the pennants.